Build captivating and enthralling bird houses that are sure to delight your senses. These are small projects and very easy to build and require only standard tools. The plan also includes traceable. 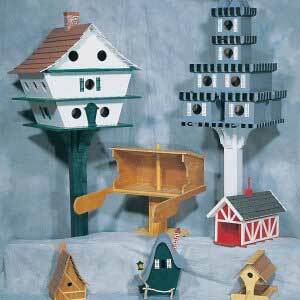 There are seven plans in total - four for bird houses and three for bird feeders. Your feathered guests will surely thank you for this.